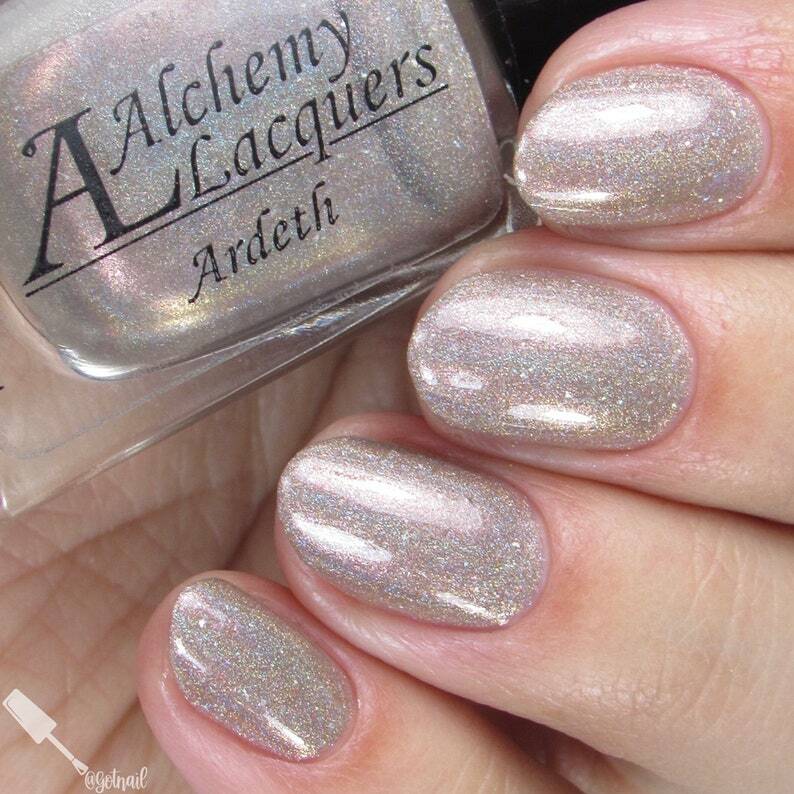 Ardeth is a taupe creme nail lacque with a pink/green shifting shimmer, scattered holographic flakes with a linear holographic finish. This listing is for one bottle (12.0 ml / .41 fl oz) of Ardeth. Swatches, courtesy of @polishandpaws, @nailpolishocd, @thepolishedmage and @gotnail, display 2 to 3 coats of Ardeth and is part of the Creature Feature Collection. Super fast shipping! Packaged very well. Pretty colors and wears extremely well. Customer service was great and communication fantasic. Thanks so much!